What is a Hydrogen Fuel Cell and How Does it Work? Although hydrogen is in its infancy as a fuel source, its future is incredibly bright. The technology behind hydrogen fuel cells is improving daily and its viability as a replacement to the internal combustion engine seems likely. Hydrogen is already being used in specialty vehicles such as forklifts and buses, and it’s only a matter of time before infrastructure is in place to serve the consumer automotive market. 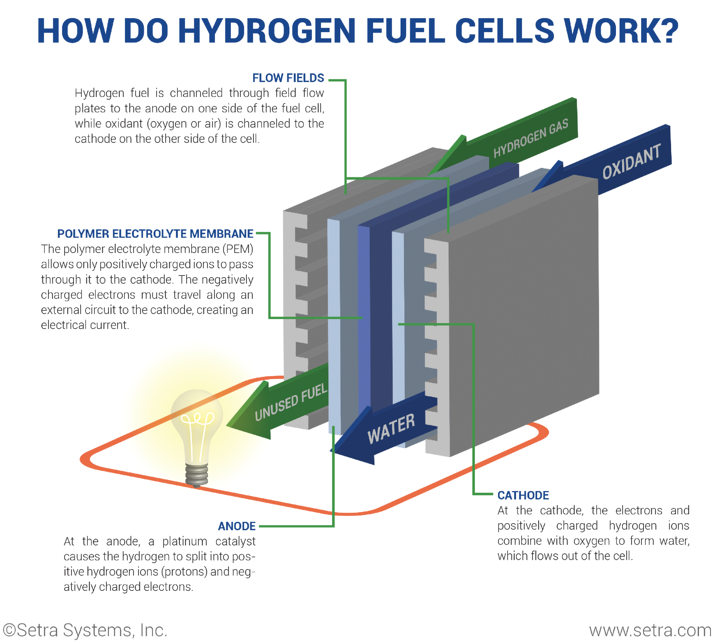 Why do hydrogen fuel cells have such great appeal? Because their only byproducts are heat and water vapor, making hydrogen fuel cells a truly zero-emission locomotive technology. A fuel cell is a device that generates electrical power through a chemical reaction by converting a fuel (hydrogen) into electricity. Although fuel cells and batteries are both considered electrochemical cells and consist of similar structure, fuel cells require a continuous source of fuel and oxygen to run; similar to how an internal combustion engine needs a continuous flow of gasoline or diesel. A fuel cell needs three main components to create the chemical reaction: an anode, cathode and an electrolyte. First, a hydrogen fuel is channeled to the anode via flow fields. Hydrogen atoms become ionized (stripped of electrons), and now carry only a positive charge. Then, oxygen enters the fuel cell at the cathode, where it combines with electrons returning from the electrical circuit and the ionized hydrogen atoms. Next, after the oxygen atom picks up the electrons, it then travels through the electrolyte to combine with the hydrogen ion. The combination of oxygen and ionized hydrogen serve as the basis for the chemical reaction. 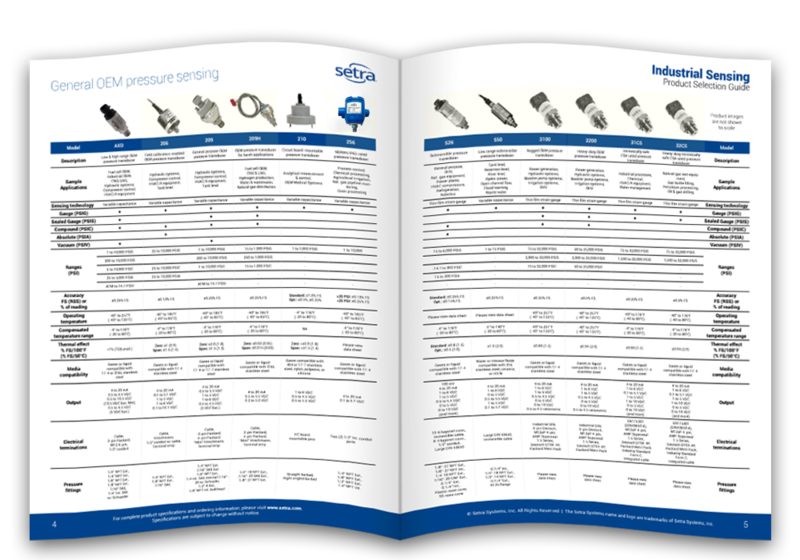 SETRA BLOG: Learn why using 316L stainless steel in industrial hydrogen pressure applications is preferred over 17-4 stainless steel. A polymer electrolyte membrane permits the appropriate ions to pass between the anode and the cathode. If the electrolyte gave free control for all electrons or ions to pass freely, it would disrupt the chemical reaction. At the end of the process the positively charged hydrogen atoms react with the oxygen to form both water and heat while creating an electrical charge. Within the fuel market there are many different applications with different power requirements. In order to provide adequate power, individual fuel cells can be assembled together forming a stack. A fuel cell stack can be sized for just the right amount of energy for the application. CLICK HERE to learn about other hydrogen industrial applications.